This department promotes collaboration among the three divisions (Mountain Comprehension Division, Mountain Utilization Division, and Mountain Management Division) within the Mountain Science Research Center. It also actively promotes cooperation among industry, government, and academia and aims to develop the field of mountain science by strategically building collaborative research in Japan and overseas. For example, we are building cooperative relationships in order to promote distinguished research by holding international symposiums inviting both domestic and overseas experts in the field of mountain science and proactively registering and participating in international networks related to mountain science. 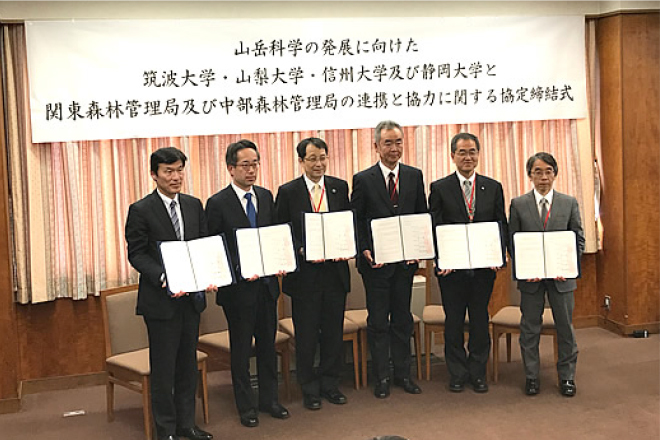 To promote collaboration among industry, government, and academia, we have entered into a cooperative agreement with the Forestry Agency’s Kanto and Chubu Regional Forest Offices, and we are working with the Forestry Agency on educational research regarding mountains. 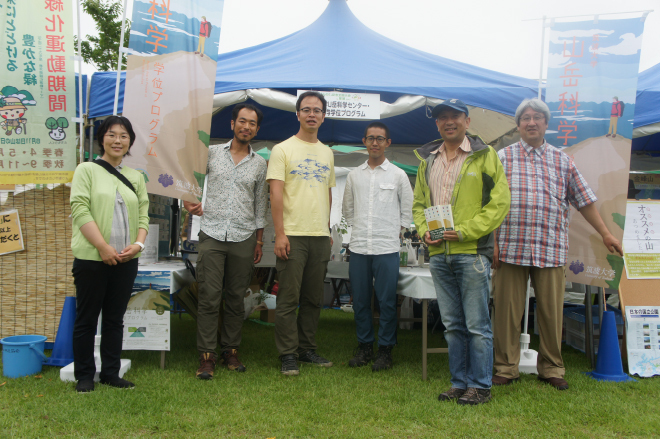 We are also collaborating with The Japan Project Industry Council (JAPIC) and the National Yama-no-Hi Council to actively propose means of revitalizing the forests and working to popularize mountain science among the general population. In addition, we are expanding our cooperative and collaborative relationships with mountain-oriented publishers and companies. We have invited people involved with these agencies, companies, and organizations to serve as instructors and conduct lectures in our Mountain Science Degree Program, and in this way, we are promoting educational research based in the cooperation among industry, government, and academia.